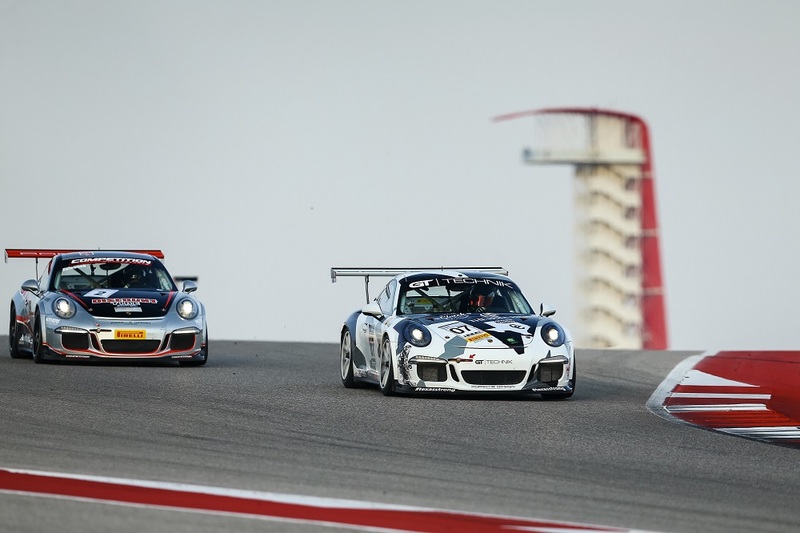 Austin, Texas – It was another big day of Pirelli GT3 Cup Trophy USA racing at Circuit of the Americas on Sunday when two drivers claimed their first-ever Pirelli GT3 Cup Trophy USA victories in Race 12 at the Austin, Texas circuit. The first-time winners were Alex Kirby of Aasco Motorsports in the Diamond category and Carl Tofflemire of Competition Motorsports in the Silver Masters class. 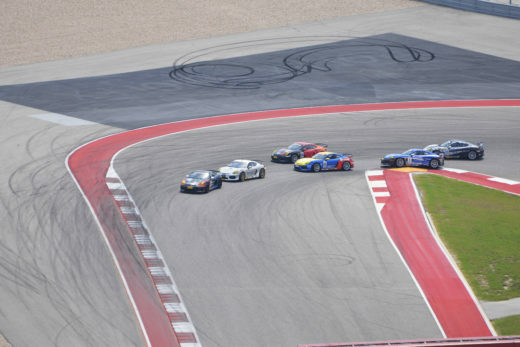 Sunday’s competition brought a second day of hot temperatures and sunny skies to the 3.4-mile road course and once again the racing ran caution-free all the way from the green flag to the checkered flag. Max Root (No. 08 GT Technik Porsche GT3 Cup) scored his second consecutive pole position Sunday morning and led the way at the drop of the green. While he was able to pull away with a large gap over the field on Saturday, it was not the case in Race 12 on Sunday as Loren Beggs (No. 08 911 Designs Porsche GT3 Cup) stayed right with him through the first several laps. The two swapped positions various times through several laps of tight racing. That close competition resulted in a slight touch between the two which saw the No. 08 of Root take a quick spin. Kirby, who sat third, had a bird’s-eye view of the contact and capitalized to take the race lead. Beggs was ultimately forced to pit lane because of damage to the radiator and retired on Lap 8. Kirby took the victory by nearly 10 seconds with Root, who had the fastest lap of the race, second at the finish. Preston Calvert delivered another stellar performance at the wheel of the No. 71 Competition Motorsports Porsche GT3 Cup machine to take his second straight win of the weekend in the Diamond Masters division. 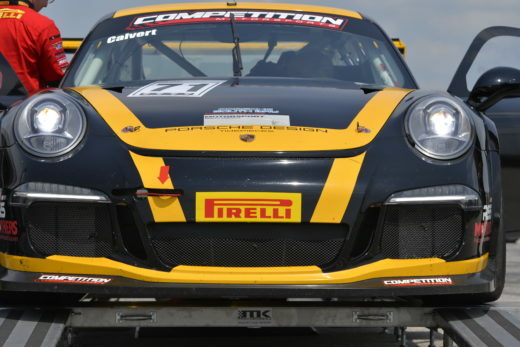 The result was especially rewarding as it marked his fifth and final race event of the weekend – having also participated in three Pirelli World Challenge races in addition to his Pirelli GT3 Cup events. Calvert’s teammates Michael Zuieback (No. 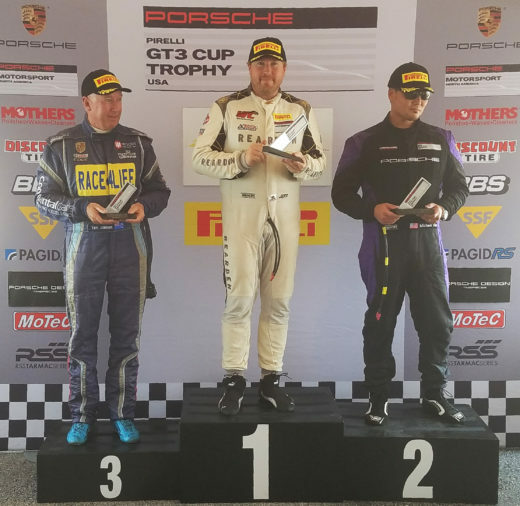 2 Discount Tires Porsche GT3 Cup) and Mike McAlister (No. 18 Competition Motorsports Porsche GT3 Cup) rounded out the Diamond Masters top-three to make it an all Competition Motorsports podium. 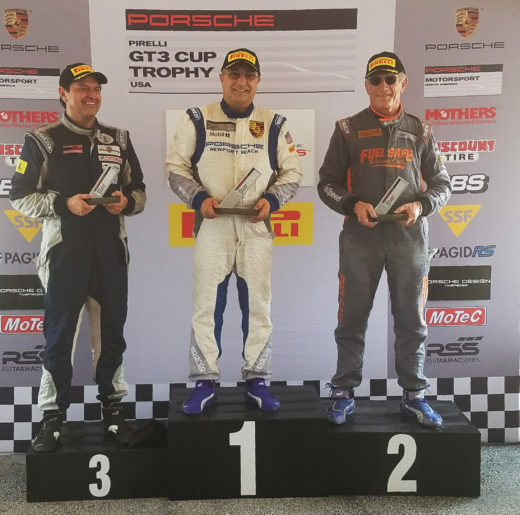 It was a familiar face on the top step of the podium in the Platinum category as TruSpeed Autosport driver Ray Shahi took his 11th victory of the season in the No. 65 Sterling Collision Porsche GT3 Cup. He’s won all but two races so far this year. Shahi’s TruSpeed Autosport teammate Larry Schnur (No. 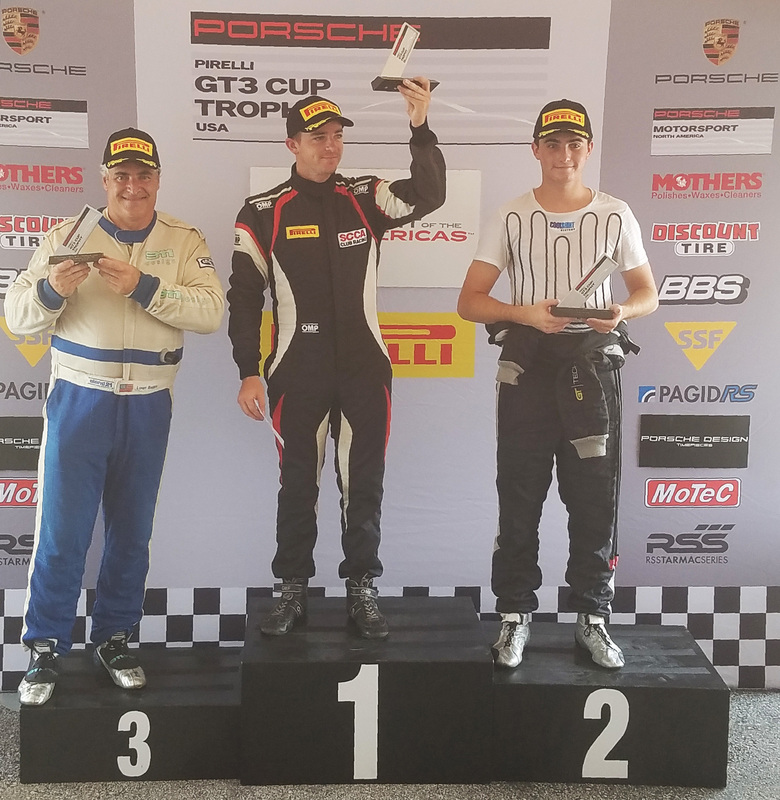 32 FuelSafe Porsche GT3 Cup) and Robert Gardner of PCS Motorsports (No. 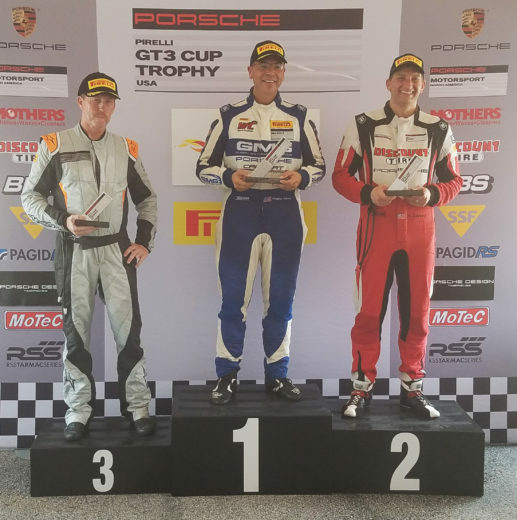 33 Porsche GT3 Cup) rounded out the Platinum podium. In the Silver class it seemed to be Sean McAlister’s day as he looked to take his third win of the season. He opened the race from the pole position in the No. 00 Competition Motorsports Porsche Cayman ClubSport GT4 and led every single lap – except for the final one when a mechanical issue forced him to stop on track on the very last lap. Jeff Kearl, who had been running second in the No. 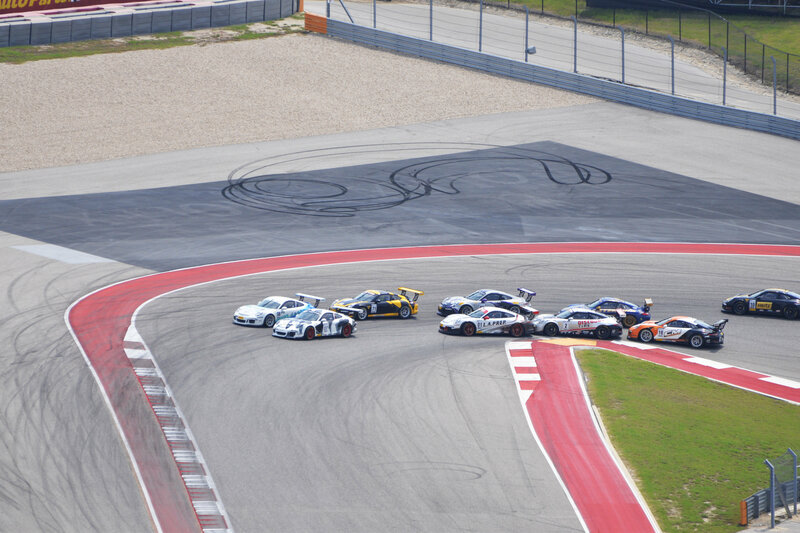 26 Rearden Racing Porsche just behind McAlister, benefitted and snuck through to take the victory. Michael Kim of Competition Motorsports (No. 21 Porsche Cayman ClubSport GT4) and Tim James of Freem (No. 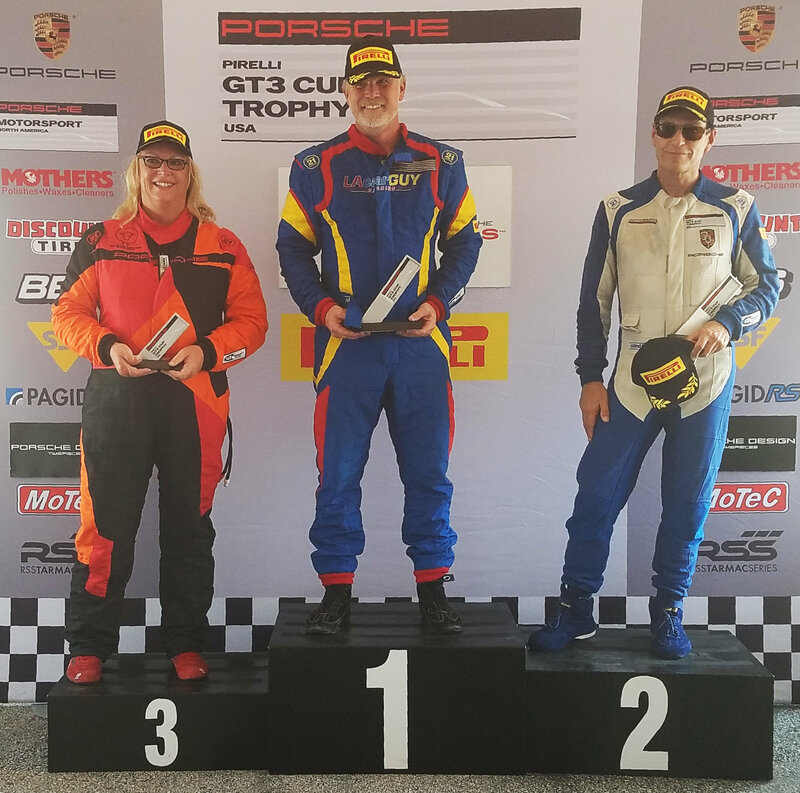 03 Porsche Cayman ClubSport GT4) completed the Silver class podium. It was also heartbreak for the race leader in Silver Masters as a late race mechanical issue saw Competition Motorsports’ Laura Ely pull the No. 09 Porsche Cayman ClubSport GT4off track with just laps to go. She had led from the very beginning of the race which was all the more remarkable considering she had only just received her license six months ago and was competing in her first-ever Pirelli GT3 Cup Trophy USA event. Carl Tofflemire, who had been running right with Ely up until that point, took his first-ever victory after two seasons of Pirelli GT3 Cup Trophy competition – besting current Silver Masters Championship leader Steve Goldman (No. 1 Competition Motorsports Porsche Cayman ClubSport GT4) at the line by nearly seven seconds. 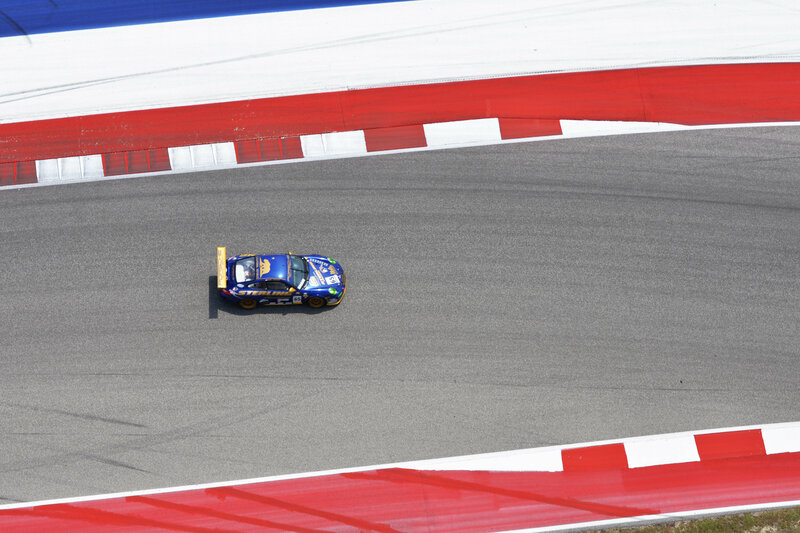 Competent Motorsport President Greg Franz was pleased with the Circuit of the Americas event and looking forward to the final two races of the 2017 championship. The Pirelli GT3 Cup Trophy USA championship next travels to historic Road America for Race 13 and 14 of the 2017 championship on September 22-24. This entry was posted in News on September 3, 2017 by admin.